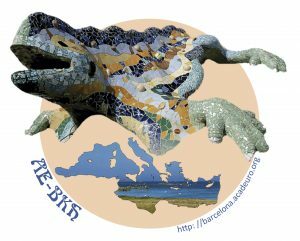 In accordance with the provisions of the European Data Protection Regulation (Regulation EU 2016/679), this is to inform users that the personal data provided through this website will be processed by Academia Europaea-Barcelona Knowledge Hub, with registered office at C/ Carme 47 (IEC Building), 08001, Barcelona, on the basis of your consent and for the purpose of managing your application and sending you information of interest. Your personal data will be stored for the time established by the laws in force. You may exercise the rights of access, rectification, cancellation, restriction, portability and objection by writing to Manners Congressos SL, at the address stated above or by e-mail to buildingbridges2018@manners.es. In the defence of your rights on your personal data, you may also submit claims to the Spanish Data Protection Agency.